The complexing decline in marital status in the United States over the last sixty years is having a noticeable impact on retirement. 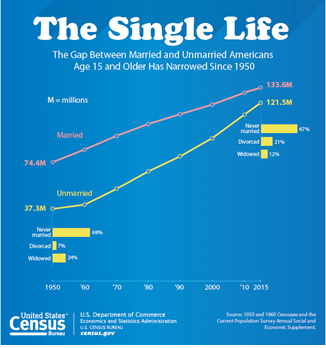 This societal shift that, according to new data from the U.S. Census Bureau, has for the first time since the 1950’s resulted in more single adults than married Americans. And while men are affected by this trend, when it comes to retirement planning for singles, unmarried women appear to be bearing the brunt of it. The reality is that standard retirement planning is, for the most part, based on marital status. If you are married, that’s where the best retirement benefits such as joint and survivor pensions, 401K and IRA account beneficiary rights as well as Social Security spousal benefits are found. But, as the number of retired singles increase over the years, it creates an ever-widening divide for singles and their retirement savings. As a single person, you don’t benefit from the economies of sharing the cost of living with another person. For one thing, singles can’t take advantage of tax breaks from filing jointly. As a result, you tend to save less over your lifetime. With just one salary to depend on, single retirees - male or female, have less financial wiggle room when it comes to retirement. This poses some important questions such as what are the rules, benefits and pitfalls of retirement when single and how much does a single person really need to retire. These concerns have created the need for a different retirement dialogue. Hopefully one that will lead to beneficial amendments to standard financial fundamentals for retiring singles. It also exposes the need to reevaluate existing retirement planning protocols that now need to consider the unique circumstances of people without partners or significant others. Single women face even tougher challenges in retirement. 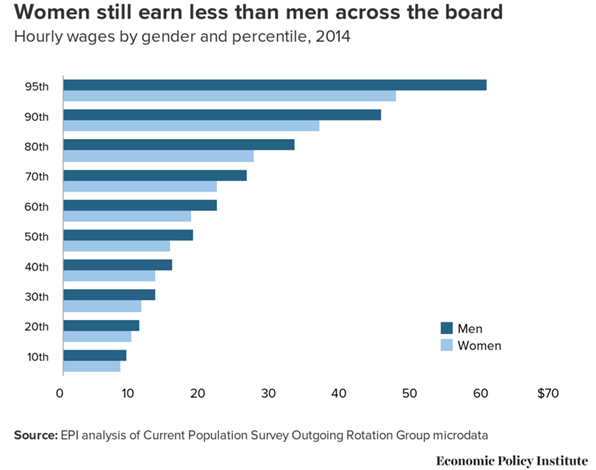 According to the U.S. Census Bureau data, single women for the most part, earn less money than their male counterparts. In addition, they typically outlive men, which means most will need to fund a longer retirement period. In 2015 the Institute for Women’s Policy Research estimated that women won’t receive equal pay until the year 2059. In fact, over the last few decades, the real median earnings of women have fallen short by an estimated $700,000 to $2 million. Based on research data, this translates into lower retirement saving, lower credits for Social Security and pension benefits. How Much Does a Single Woman Need to Retire? 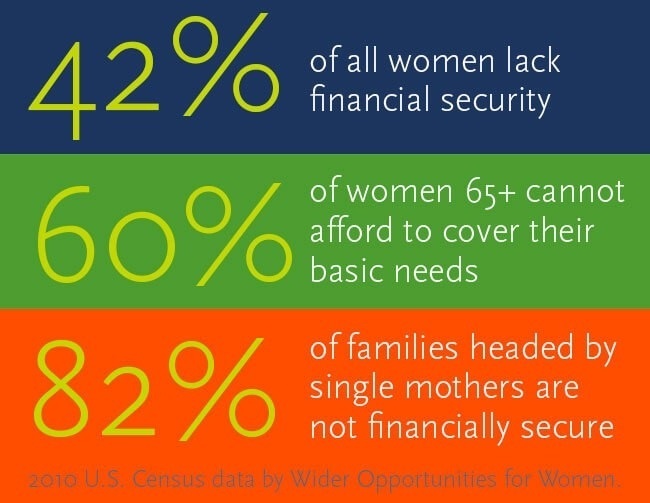 Estimating how much a single woman needs to retire depends on some key issues such as the general state of her health, overall financial status, current and projected income, saving capability based on income, living expenses and debt ratios, as well as current and future lifestyle expectations. As such, there is no single figure for single women in retirement. Every woman’s needs in retirement is unique to her specific set of circumstances. Seeking good retirement planning advice to explore maximum benefits for singles. Making a commitment to save between 10% to 20% of income. Not rolling over 401 (k) after a job change. By leaving it alone, you keep the cost basis of your investment lower. Making investments based on single status. Some financial experts suggest investing in low-cost index funds and staying clear of individual stocks. Deciding, based on ability or desire, whether or not to work beyond standard retirement years. Creating an alternate income stream that can help to supplement retirement savings. 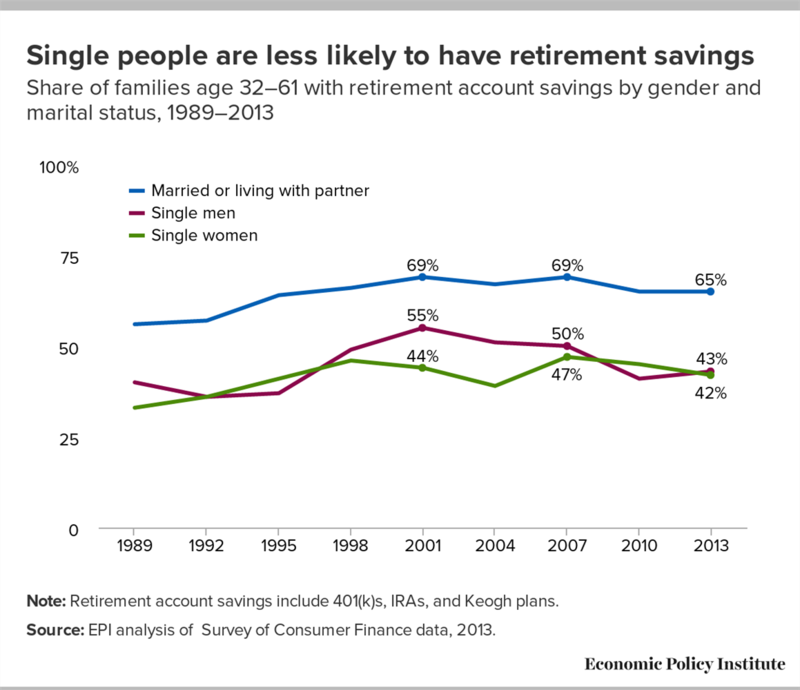 Many studies show most single people have little or no savings for retirement. But even if you start late, with preemptive retirement strategies, there is good reason to believe, that even singles with average means can enjoy their retirement years. Matt Logan is a Representative with Matt Logan Inc., and Summit Brokerage and may be reached at www.mattloganinc.com, 336-540-9700 or [email protected].